Enjoyed all our hugs from the Riley and Quinn as we left Matt and Becky’s at 6:30 am this morning and headed East. Once we cleared Atlanta traffic was great. We proceeded up I-85 to I-40 to Hwy 70 into New Bern, NC. We were avoiding I-95 and the traffic mess and road closures due to the storms. Arrived at Oriental Marina and Inn, secured our room then went and dropped our car at the airport. Received a call from Captain Bob says his ETA is between 12 and 2 tomorrow afternoon. 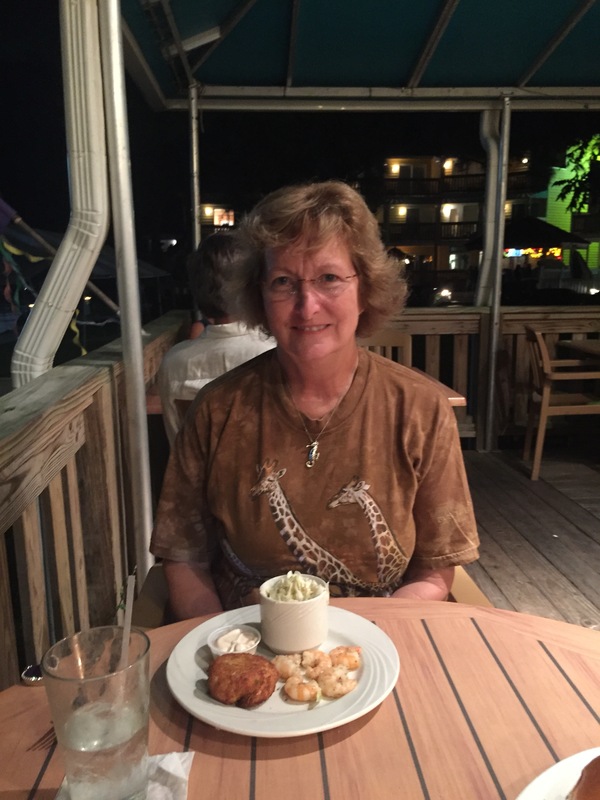 Enjoyed a shrimp and crab cake meal at the local restaurant here at the Marina.